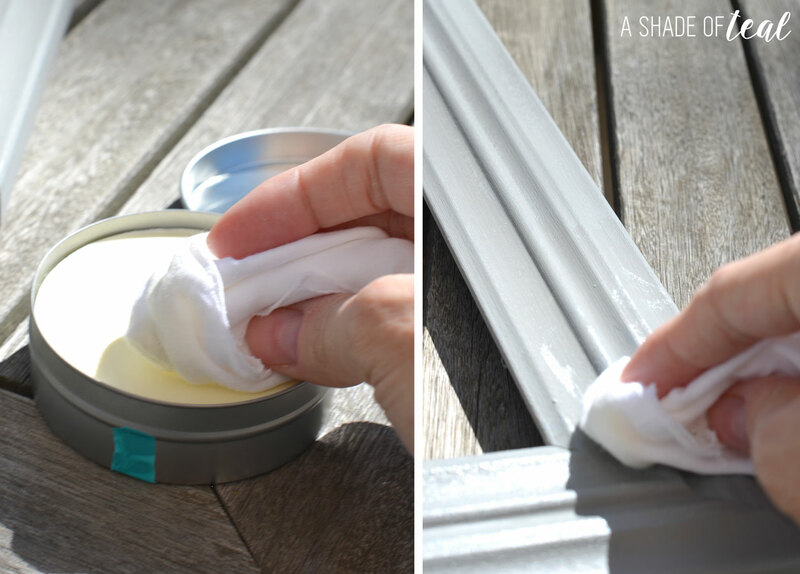 This post has been done in collaboration with Wise Owl Chalk Synthesis Paint. All opinions and comments are 100% mine, I only promote products I believe in. 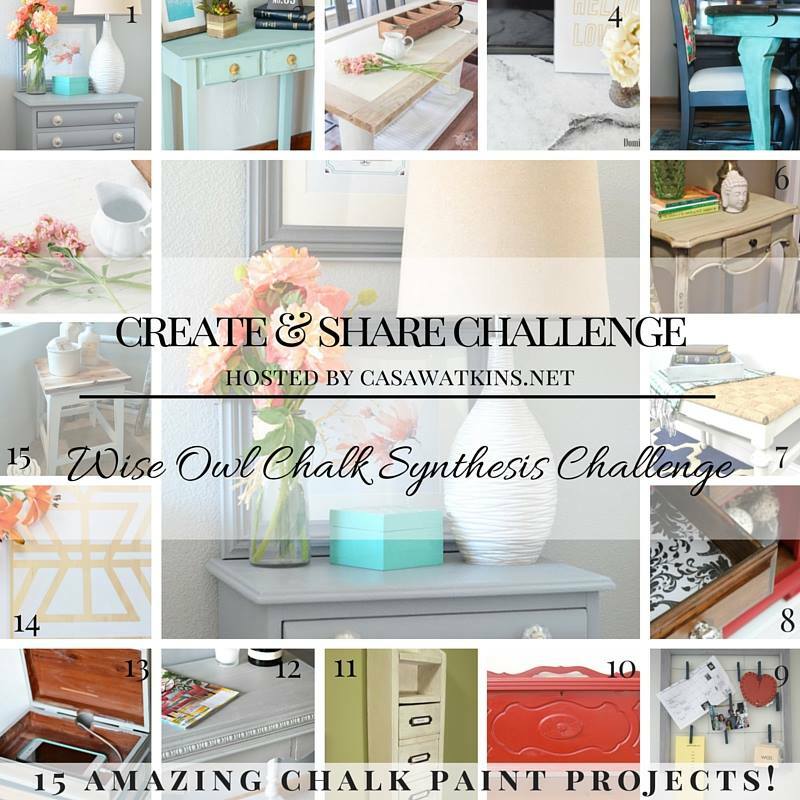 I’ve teamed up with some amazing bloggers and Wise Owl Chalk Synthesis Paint to update some furniture for February’s Create & Share Challenge. 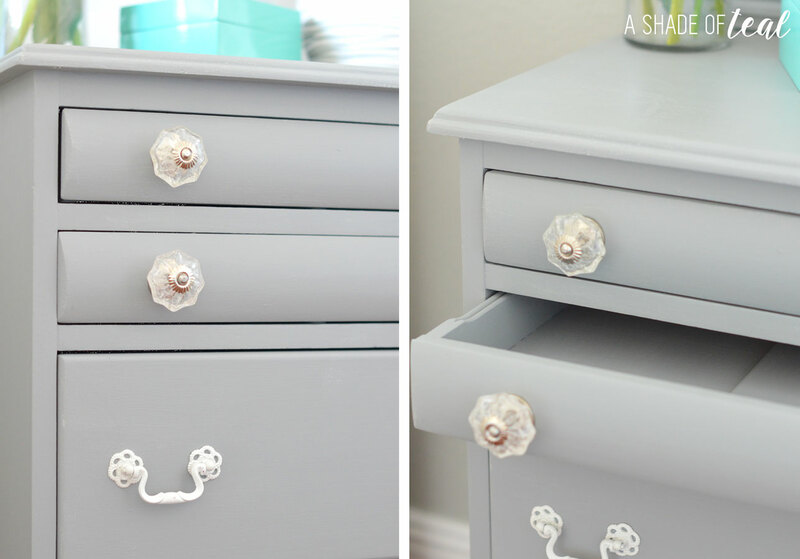 This was the first time I’ve used Wise Owl Chalk Synthesis Paint and I can honestly say I LOVE it! I re-did some picture frames and a nightstand for my daughters new room. I went with their Smokey Quartz chalk paint and the White Furniture Wax. The frames I found on clearance at TJ-Maxx. I like to buy frames on clearance when possible since they normally come with a mat. What’s funny is that these frames would have fit in with the color scheme I’m going with, but I knew I wanted them all 1 color. 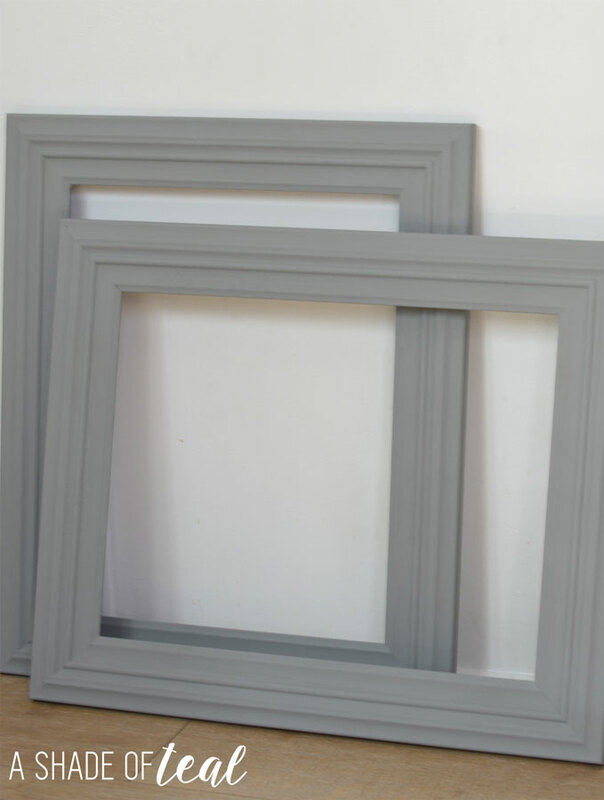 I took apart the frames and painted them with 2 coats. After they were dry I added the wax finish. Moving on to my nightstand I also gave it 2 coats of paint with a coat of the wax. Here’s the finished results. I love love love how it turned out. Especially seeing these in her room makes me want to finish all the decor ASAP. The white hardware was the original that I spray painted. The glass knobs I found at Hobby Lobby. 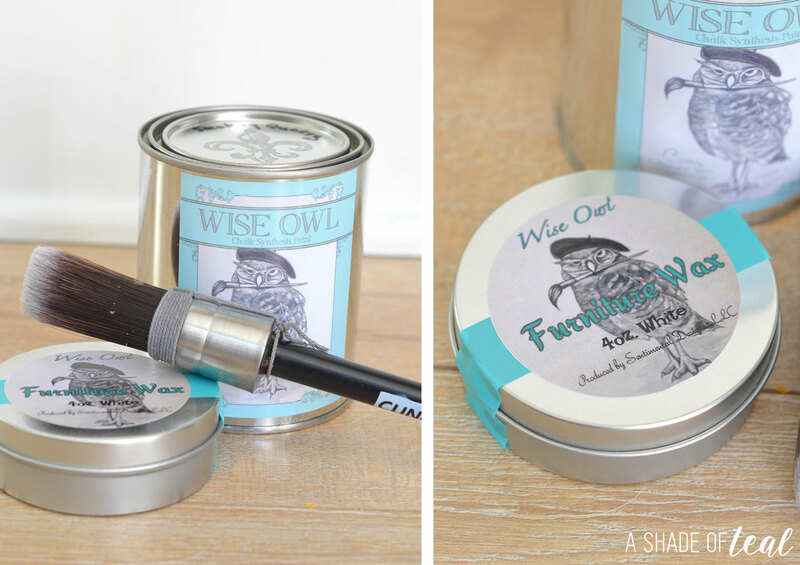 Make sure to stop by everyone else’s blog to check out their Wise Owl Chalk Synthesis Paint project. 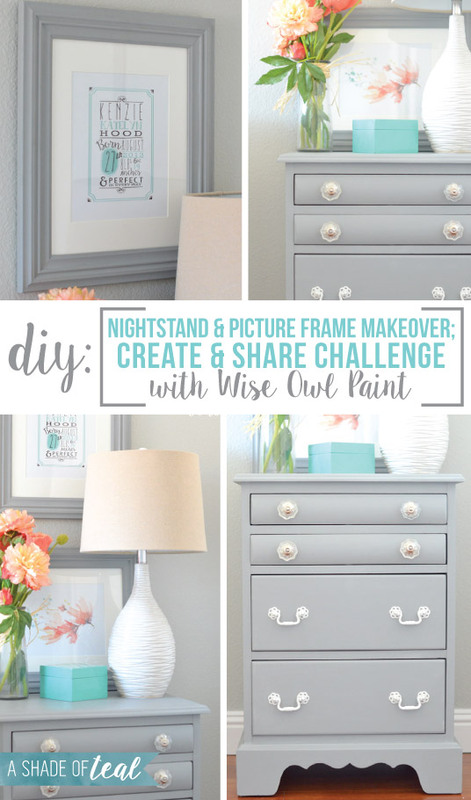 Don’t forget to enter for a chance to win a Pint of Wise Owl Chalk Synthesis Paint (any color), 8oz accent color (any color), 4oz wax (any finish) and cling on brush. 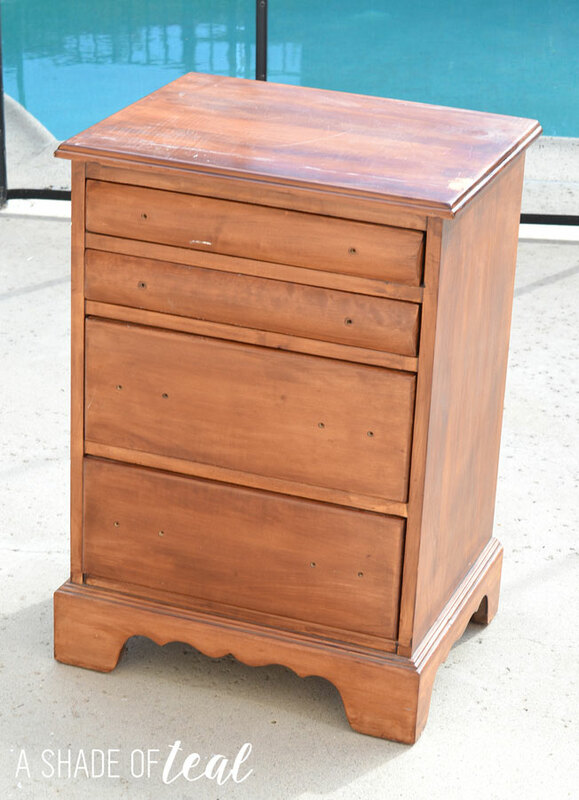 Katie, your night stand looks fantastic! 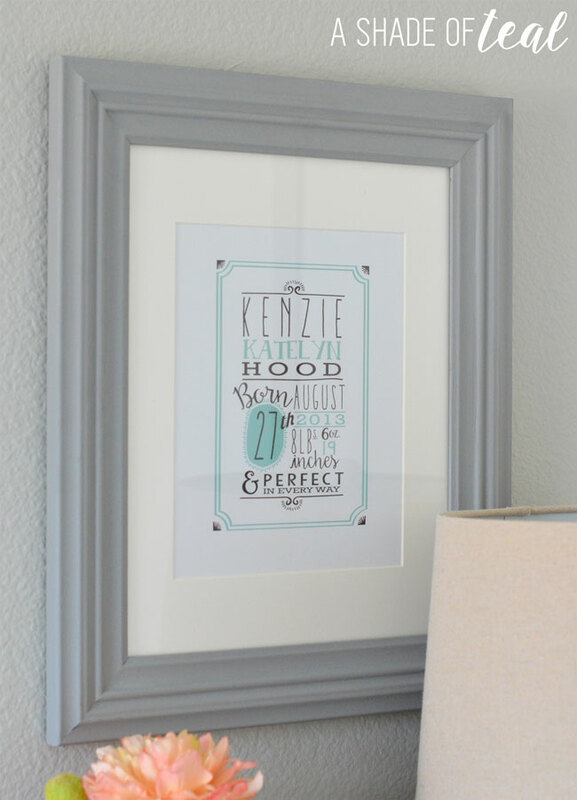 And I really love the wording you chose on your daughters frame. Perfect in every way! Pinning! Katie you did a fantastic job on the nightstand. 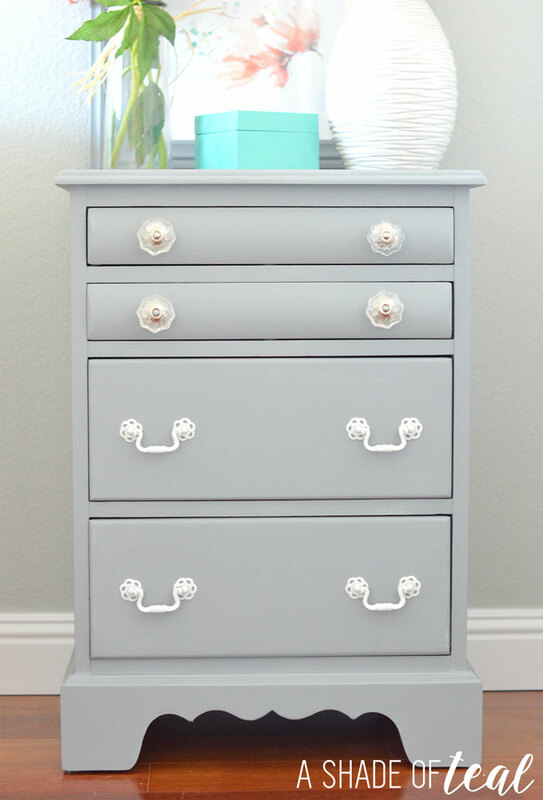 Love the color and the white hardware just sets it off beautifully. SO beautiful Katy!!!!! I love the color and the entire area looks fantastic. You styled it so great too!!!! Pinning and sharing. Thanks Stephanie, and as always thanks for hosting! 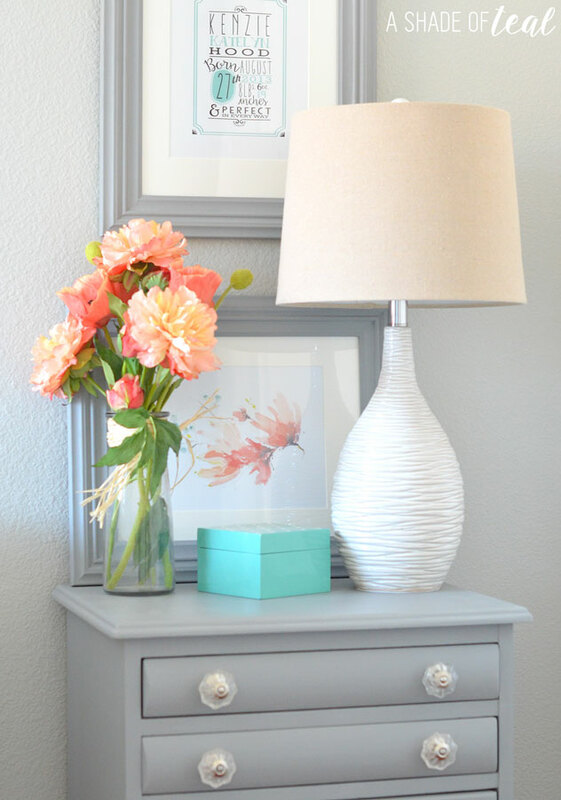 Your daughter’s nightstand turned out beautiful! 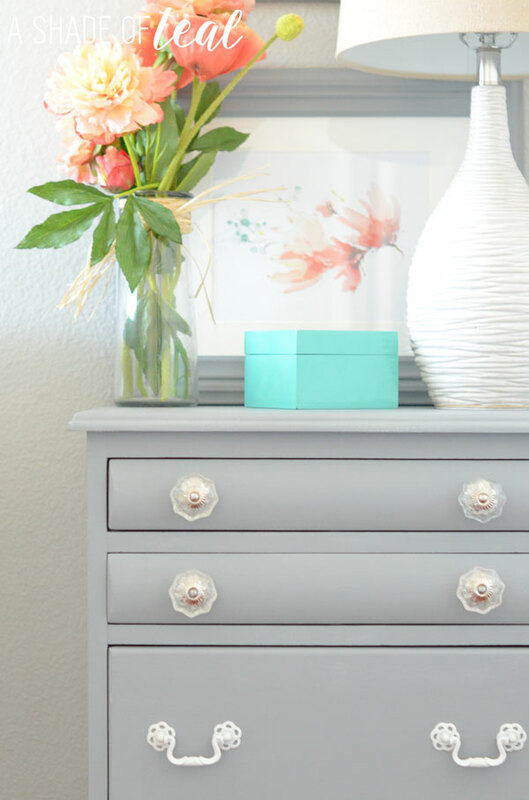 I love the color you chose, and you can never go wrong with pretty glass knobs from Hobby Lobby!! Thanks Jenny! I know, Hobby Lobby has the best hardware knobs! Beautiful makeover! The color is fantastic! This looks so great! I love the shade of grey you chose–Nice work! Gorgeous! Your daughter is lucky to have such a crafty mama. I love how you styled this! Just beautiful, Katie! Fantastic job on a gorgeous piece. And those frames? So pretty. Outstanding job. I love your nightstand! You did a beautiful job on the makeover and the styling and photos are soooo pretty! Well done! I haven’t heard of this line of paint before but the color you chose is very pretty. 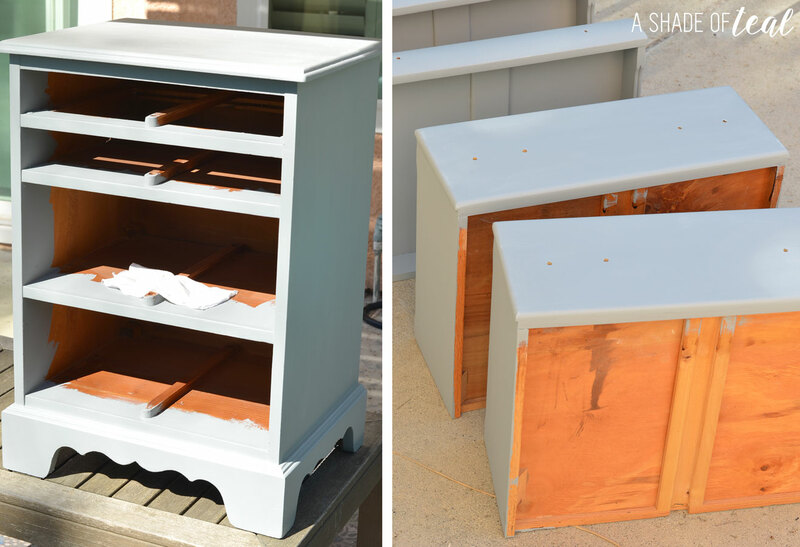 If you are ever interested in joining in one more furniture link party, I host Making Broken Beautiful each week. It is a furniture and home decor party and it runs every Thursday thru Sunday and it would be a pleasure to have you. You do lovely work! Have a great weekend! Thanks Terry! I’ll definitely look into your party! The frames and nightstand turned out adorable! I love the color you chose and the white wax was a perfect compliment to your Smokey Quartz color!